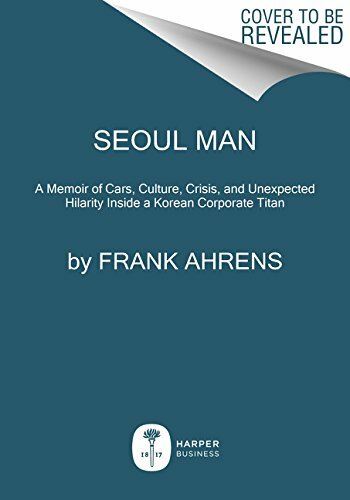 For the next three years, Frank traveled to auto shows and press conferences around the world, pitching Hyundai to former colleagues while trying to navigate cultural differences at home and at work. While his appreciation for absurdity enabled him to laugh his way through many awkward encounters, his job began to take a toll on his marriage and family. Eventually he became a vice president—the highest-ranking non-Korean at Hyundai headquarters—but at an untenable price.